To be the Direct Selling industry’s premiere network to connect Suppliers and Companies; Operate with only the highest level of integrity and honesty; Always look after the best interest of their clients – both Companies and Suppliers, and to provide incredible customer support to both parties as they navigate the buying process. Never settle for good and always strive to be the best; Allow technology to create faster, better and more efficient processes and customer experiences. Altamonte Springs, FL, February 01, 2018 --(PR.com)-- Direct Selling Resources launched and the industry responded with fanfare. The mission at DSR is to “Bridge the Gap” between direct selling companies and the suppliers and vendors that support the industry. Its vision is to be the premier network connecting companies and suppliers, operating with the highest level of integrity and honesty and looking to provide the best solutions to everyone involved with the industry. From start-up direct selling companies looking to get the right vendors to set up a proper infrastructure pre-launch, to established direct selling companies looking for solutions to new problems, DSR is here to help. DSR will be registering vendors who are open to being fully vetted, to ensure that once paired with direct selling companies, those companies will have the best possible vendor to solve any issue or problem. DSR will also take on an on-going customer support role, acquiring feedback on how the supplier vendor is doing for the direct selling companies. Developed by Alan Alpert, Supplier Chairman for the Direct Selling Association and CEO of Smart Office Solutions, DSR removes the guesswork for direct selling companies, pairing them with vendors that are reliable and trustworthy. Late on a Friday night, Mr. Alpert received a call from the CEO of a highly successful direct selling company in need of vendor to help quell an issue within the company. While she knew it was outside the scope of services that Smart Office provides, she trusted that with Alan’s comprehensive knowledge of the direct selling industry as a whole, and particularly the supplier community, he would know who to recommend. By Monday morning, Alan had the proper vendor in place, and the concept of DSR was born. DSR removes the guesswork in determining whether a vendor will be reliable and responsibly deliver on their commitments. Direct selling companies no longer bear the burden of going through an extended vetting process in addition to multiple trial periods with countless vendors to find the right suppliers to provide business critical products and services. Removing this burden saves significant time and money for the direct selling company. “DSR will help drive continual revenue from industry companies to the supplier community, while simultaneously helping direct selling companies get support from vendors they can trust and rely on,” said Mr. Alpert. This VIP service is provided at no cost to direct selling companies. Additional service levels are provided to direct selling company clients who would like to outsource their Request for Proposal (RFP) process to a DSR faculty with over 150 years of combined experience in industry specific service and product categories. In DSR’s quest to create an environment that brings value to the direct selling industry, DSR curates and develops educational and thought leadership events throughout the year. 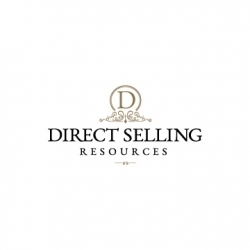 Please check the Direct Selling Resources website www.directsellingresources.com for scheduled ongoing webinars and events conducted by industry company and supplier executives about topics that matter to our community. Click here to view the list of recent Press Releases from Smart Office Solutions, Inc.